Carol Locher Ransone, PhD is a 2014 graduate of the PhD Program in Leadership and Change at Antioch University. 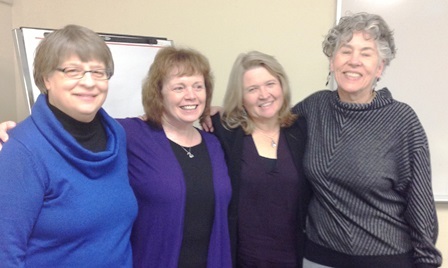 Left to Right : Dr. Carol Baron, Committee Member, Dr. Carol Ransone, Dr. Elizabeth Holloway, Dissertation Chair, Dr. Laurien Alexandre, Committee Member. Senior-level professional with a proven track record of utilizing strong organizational skills in a variety of leadership roles. Results oriented manager who effectively builds strong partnerships. Leverages knowledge obtained from a broad professional experience in both technology and line management environments. A Six Sigma Green Belt and a Connective Leadership Institute Certified Practitioner (CLI-CP). Experienced in virtual team leadership. Ransone is an MBA graduate from Queens University in Charlotte NC and received her Ph.D. in Leadership and Change from Antioch University. Her dissertation was focused on the importance of relationship in virtual work environments and was defended in January 2014. Carol began her career with Milliken & Company, serving in a variety of production and technology project management roles supporting the manufacturing firm. 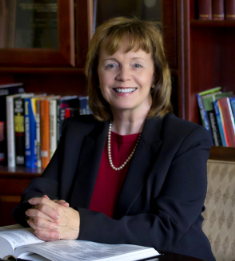 In 1989 she began working with NCNB / NationsBank / Bank of America providing expertise in change management for the Finance and Human Resources Divisions. In 2000-2001 Carol continued to leverage her project management expertise as a management consultant. She rejoined the Finance Division of Bank of America in 2001 to build a central reporting function for scorecard reporting. In 2007 Carol moved to the Real Estate Division to build the operational foundation supporting the Bank’s flexible work program. The Ransone Group, LLC was established in 2012 to provide the umbrella for Carol’s consulting practice. She has consulted with the NC Department of Health and Human Services and is now on an engagement with Duke Energy. Ransone, Carol Locher, "The Nature and Influence of Relationship on Success in a Virtual Work Environment" (2014). Dissertations & Theses. 80.